I have heard myself saying to several different new clients within the past 6 months-“Small can be great!” As one example, you can probably afford the very expensive back splash tile if you are using it in a smaller sized kitchen or bath remodel; and you need less furniture to furnish a smaller great room. That said, there are tried and true tips that can give you a larger feeling space—mirrors, lighting, clutter control to name 3 top ones. 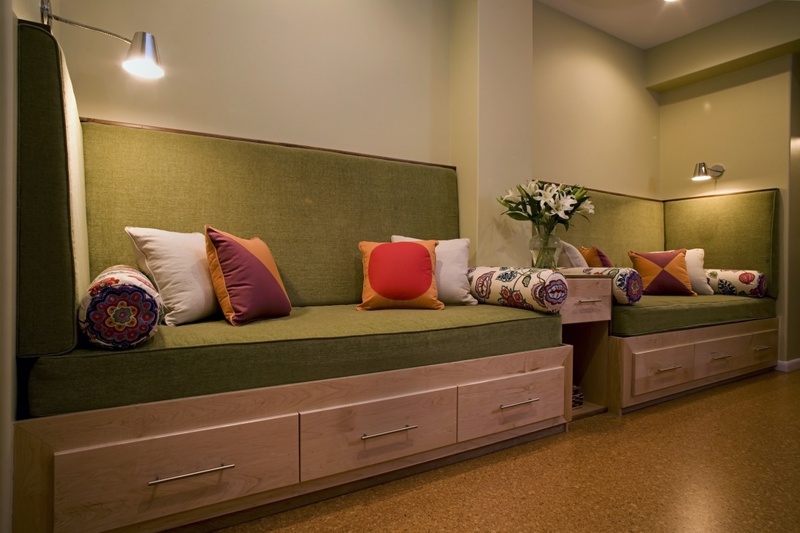 A guest post about how to make small spaces feel larger is shown below. The author is from the U.K where overall spaces tend to be smaller than in the United States where the mantra seems to be-bigger is better. Whatever your current living situation, if your house, apartment or shared accommodation isn’t quite as palatial as you’d like it to be there are lots of different ways to adapt your space to make it feel bigger. It is possible to transform the rooms you occupy at home with a few simple tricks of the eye, making them appear lighter, airier and much more spacious. Here are some ways to decorate and organise your home to give the impression of much more space than you might have. 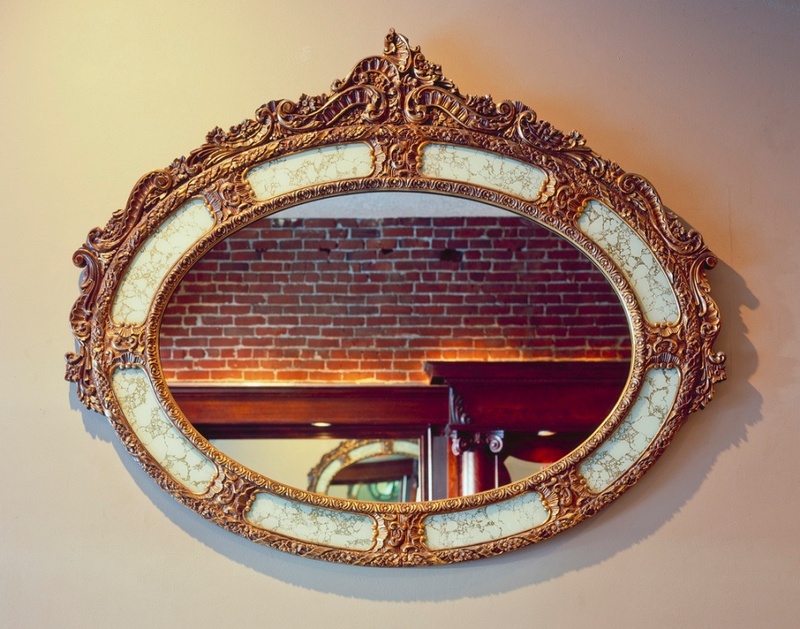 Whether you place them above the mantelpiece, incorporate them into your wardrobe door or even prop them up against the wall, mirrors can dramatically alter your perception of a room and also help to reflect light, giving a greater sense of space. Entire mirrored walls are often used in bars and restaurants to make them seem twice the size they actually are, so why not emulate this at home? don’t be afraid to have more than one in the room- in fact, the more mirrors the brighter the room! Dark colours, if on every wall, can have the undesired effect of making small rooms appear even smaller. To maximise every inch of available space, choose from a light colour palette of neutrals and pastels. There is no need to forgo the dark, bold colours that you love, as these can still look great and add character if used in small doses. Perhaps have a feature wall painted in your accent colour and pick soft furnishings to match. Choosing anything other than a light floor colour is certain to highlight the small size of a room by drawing the eye downwards to the exact dimensions of the floor space. Opting for a neutral colour which flows uninterrupted up to walls of a similar colour will open up the space and draw the eye up and out to the rest of the room. Unlike mirrors, which can be as big as you like (in fact the bigger the better! ), overly large paintings, ornaments, rugs and pieces of furniture dominate small spaces and serve to highlight the size of a small room. Opt for chairs and tables which aren’t too chunky, those with a lighter ‘footprint’ will take up less floor space. The size of furniture and decorative items should be in keeping with the size of the room, so buy for the space you have rather than the space you’d like to have! Cramming lots of paintings, pictures and ornaments into a small room will only serve to highlight how cramped everything looks. 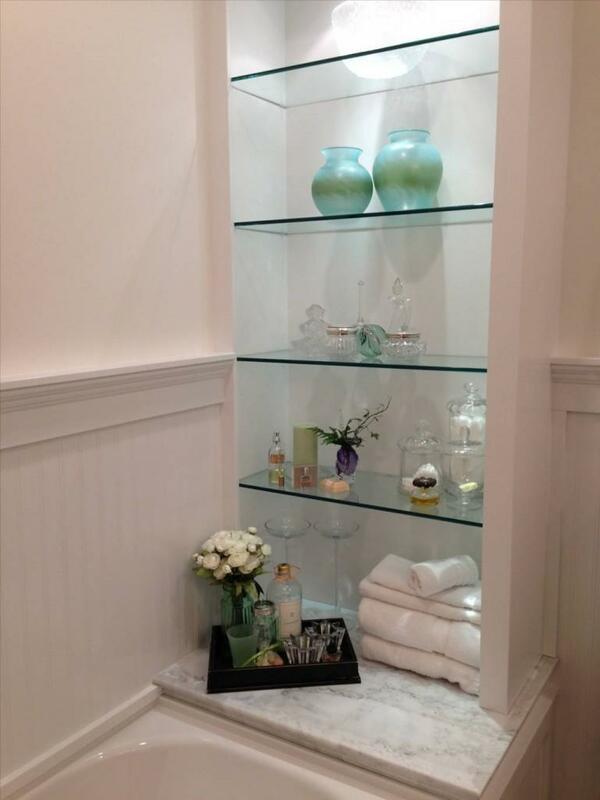 To maintain a calm, unfussy environment keep surfaces as clear as possible by storing all non-decorative items away. Clever lighting can create the illusion of more space by making the most of every square foot available. If you don’t have large or south facing windows then create light with strategically placed lamps and mirrors. One large central light creates a clinical look which leaves corners and other nooks and crannies in shadow. Light such areas with up-lights, spotlights or lamps. Make use of other reflective materials, such as glass and metals, to increase light. 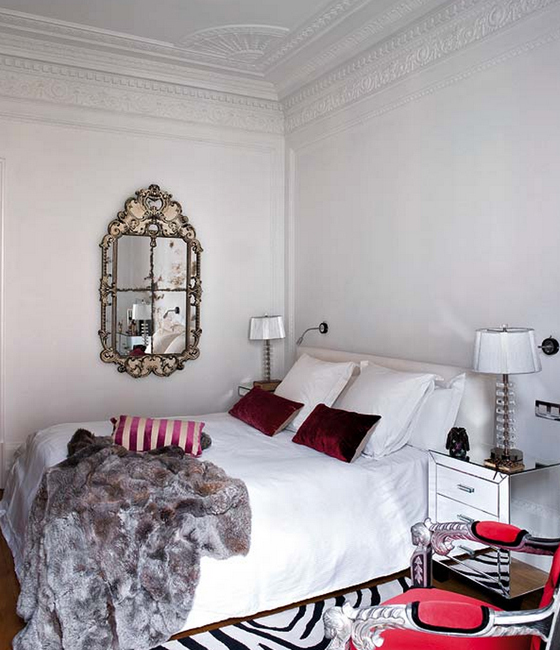 Why not place lamps upon mirrored trays for maximum light reflection, for example? If the structure of your house is such that you occupy a series of small box rooms, the simplest way to transform it into a living space which feels much larger is to knock through adjoining walls. 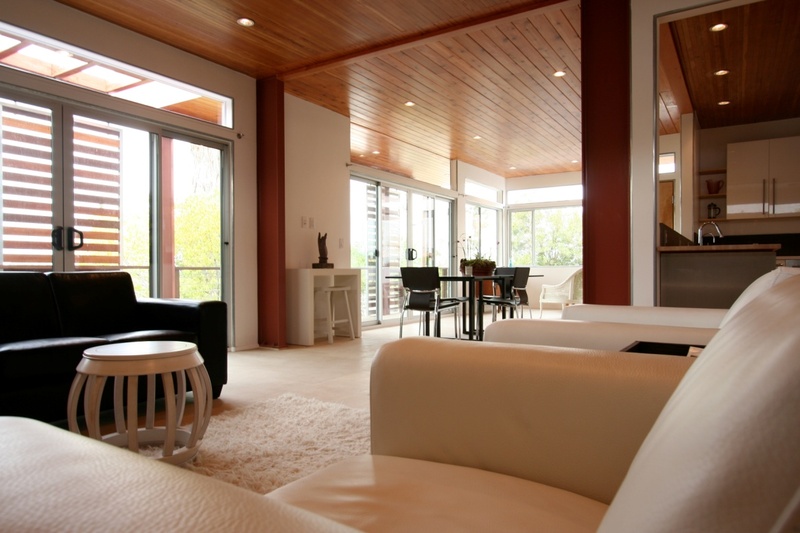 An open plan living space increases space, adds light and unites the social spaces in your home. Being able to see how large your floor plan actually is and move around it with ease is one of the best ways to make a small space feel larger. Adopting a less is more approach when it comes to decoration and aiming to maximise available light with neutral colours and reflective surfaces are the best ways to make small rooms appear larger. 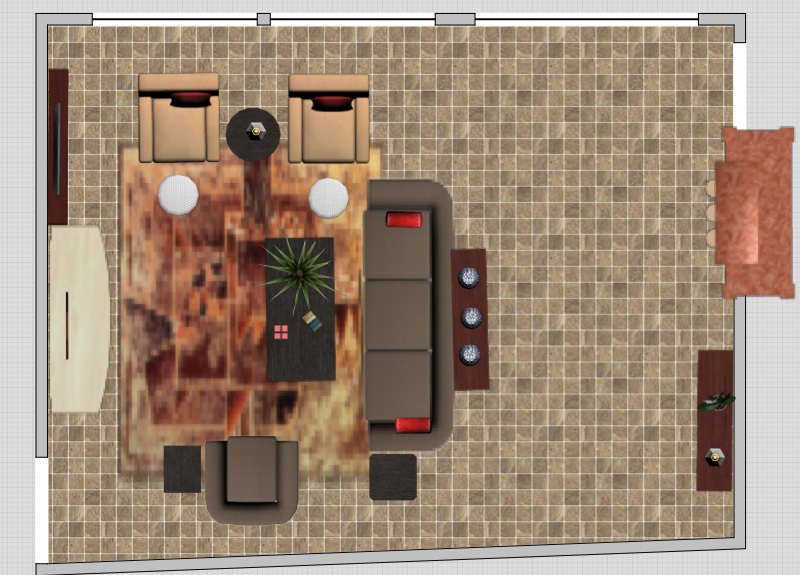 Hi there, my name is Loren, I love being creative with living spaces. I live in a small but very cosy apartment, I love my creature comforts and I don’t like clutter! I work at Sofasofa.co.uk, who sell comfy sofas, sofa beds and other bits and bobs. When S Interior Design begins a new project, we have our clients fill out a Client Profile. Of the many questions we ask, we ask about favorite colors. A trend we have definitely noticed is the number of people indicating they really like the color purple. 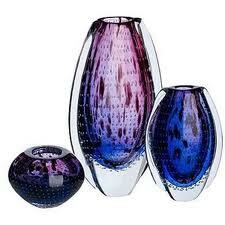 Historically the color purple has been associated with royalty. Specifically it was the color choice for the robes of the Roman emperors and royalty over the ages. From deep jewel tone purple to dusty plums and lilac, purple can enter into a design scheme in many ways. Depending on how it is used , purple tones can lend a sense of grandeur to a space or a whimsical touch. 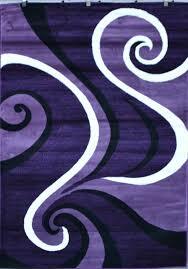 A good complimentary color to purple is green, and a cream or even white will balance a purple tone well. Room Re-design can be just what is needed to give a space an entirely updated, new feel and even functionality. 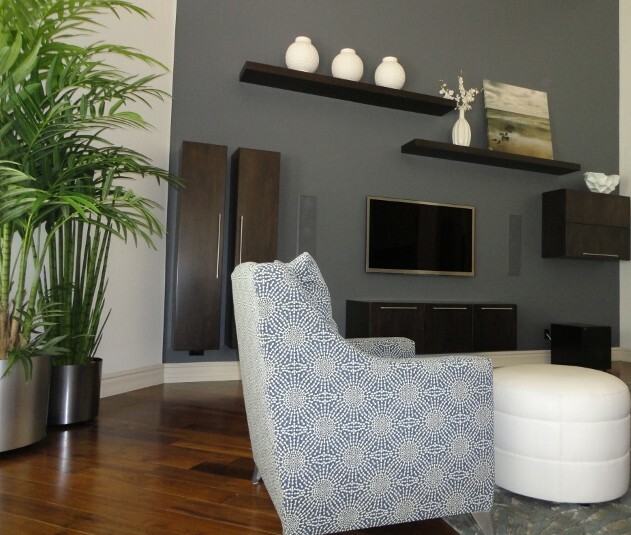 S Interior Design offers a specific Room Re-Design service which uses the furnishings, accessories and artwork the client already has, but optimizes their placement and arrangement. We then offer recommendations for additional or optional design elements that would take the client’s room further towards the desired look and feel . 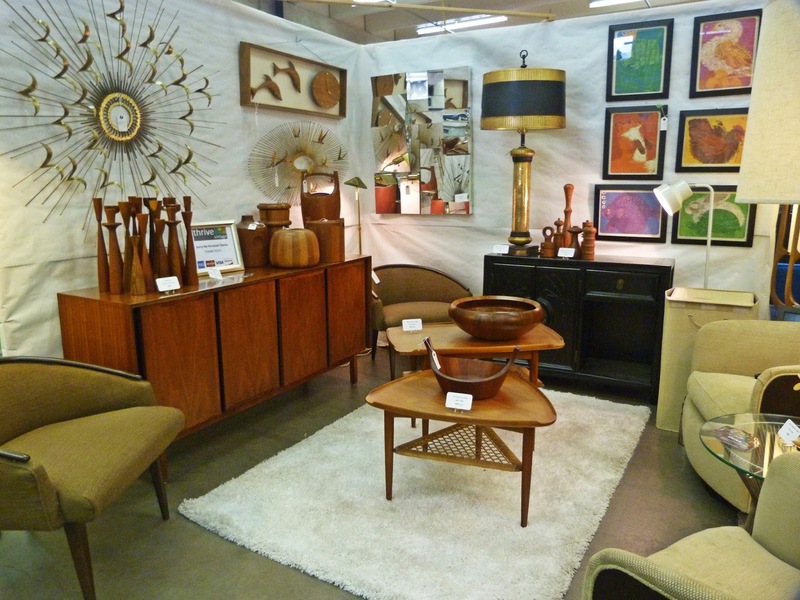 The guest post below shares good advice about how to re-design a room. At some point over time, even the best decorated rooms may need a makeover. Knowing where to start, how much to alter, or even whether the time is right can be tough questions to answer. An unplanned approach can draw out the process and muddle the results. Here are some things to consider before the room makeover bug gets the best of you. 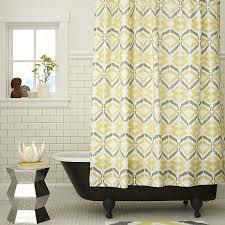 Redesigning a room does not have to be a matter getting rid of everything or shelling out a lot of money to re-furnish. The first thing you should ask yourself is, “What do I dislike about the room?” While you may have specific pieces in mind to relocate, replace, or dispose of, consider the fundamentals first. • How are the walls and floors? If you are looking at a reasonably involved redesign, the shifting of pieces may create a good opportunity to repaint or re-floor. You may also just want to target specific problem areas (touching up paint, refinishing wood, etc.). • How does the room flow? Based on the function of the room, is it easy to get around? Does foot traffic get awkward at certain points? Think about where people walk the most and where opening up space would help most. 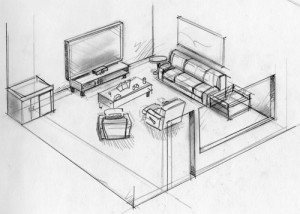 This will help you identify what needs to change with the furniture. • Is there enough or too much natural light? Often the lack of appeal to a room has to do with the lighting though this may not be the first thing we consider. Natural light should be considered first and can be controlled by careful consideration of window treatments. Applying window tint is an excellent way of utilizing natural light without fading interior fabrics or letting in too much heat while alleviating the burden of lighting by artificial means. • Is there enough or too much artificial light? The sun being a light source that comes and goes, artificial light has to pick up the slack. The thing to consider here is whether the room loses appeal as the dark hours set in and whether the things you like about the room are lit well enough. 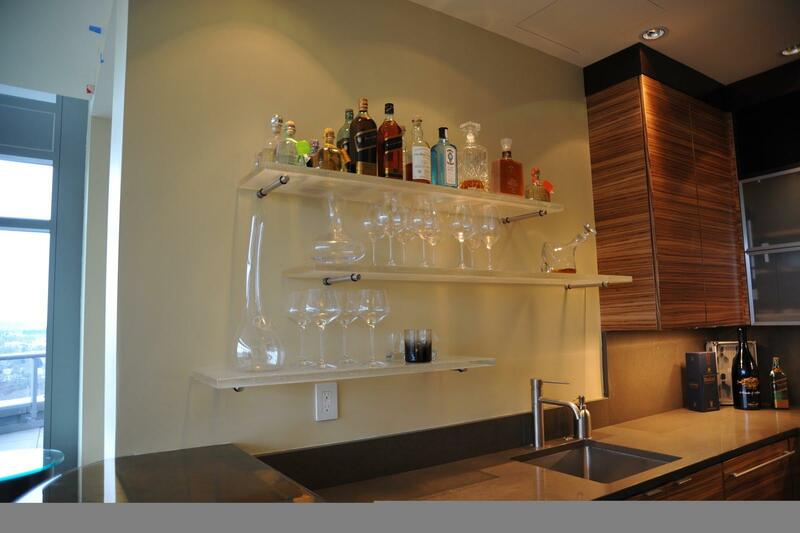 At the same time, too many light fixtures can clutter space and too much light can be uncomfortable. Now, pick out what you love about the room. 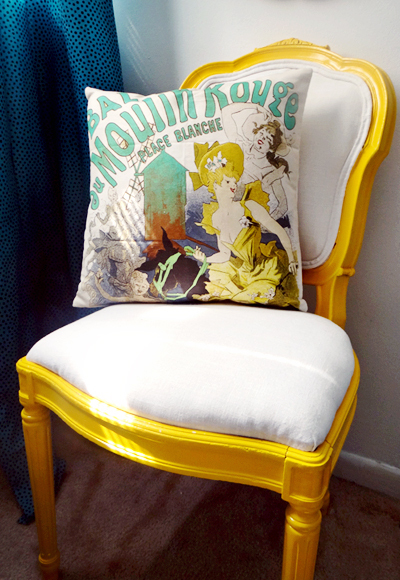 Pieces that you love may just need better placement or better lighting to be done justice. Think about repainting or re-finishing wood furniture. 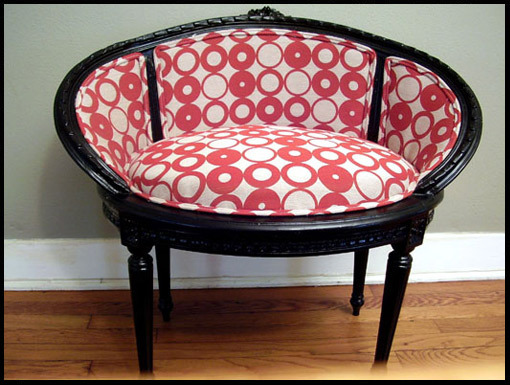 For outdated upholstered furniture, you might want to consider a fitted cover if you still find you like it from a structural standpoint. 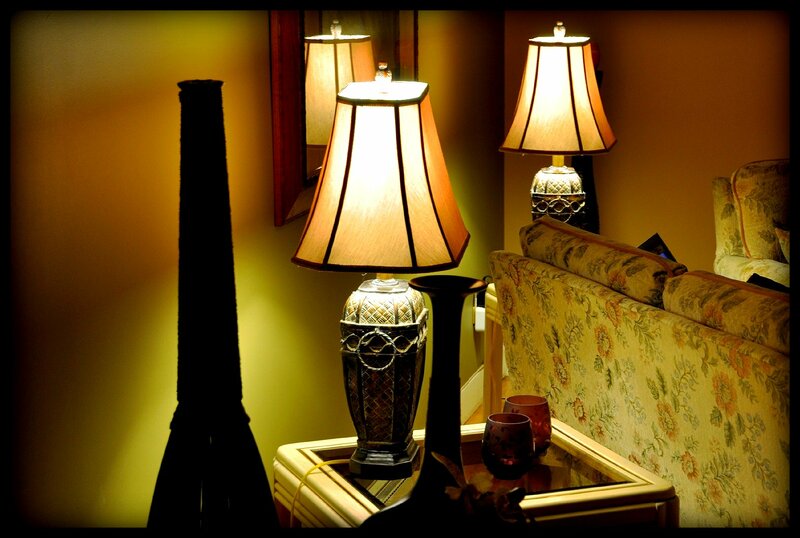 With light fixtures you like, consider whether a different bulb, shade, or diffuser would be a better option. Also, if you like an item but it just doesn’t hurt to try placing it in a different room, space permitting. Once you have accounted for what can stay and what needs to go, you have to get a picture of how to fill the space with the elements you have. It is a good idea to draw things out on paper to get an idea of how they should look in terms of the spatial arrangement. You don’t necessarily have to be a great artist, but you can also use a computer program if you feel your hand will not help enough to justify the effort. Bear in mind that if you are planning to install more permanent features into a room, such as light fixtures, ceiling fans, or chandeliers, those should be considered first and by themselves in terms of placement since you will likely want to be able to work around them flexibly for future redecorating. Furniture should be next and considered in order of largest and heaviest to smallest and lightest so you can figure out how to make the best of the available space. It is also important to consider whether the long-term value of what you are doing. If you plan to sell a place, you will have to think about whether your permanent changes will appeal to potential buyers. If the changes are all for your own enjoyment, you have to consider how often your budget will likely allow you to redesign and to what extent. Rearranging what you already have is the best place to start a redesign under a tighter budget. Acquiring and implementing new items over time may be the only option where budget dictates, but try to keep a cohesive picture in mind so that you are less likely to end up with a room full of mismatched elements. The more you intend to do at once, the more planning should go into the project, but a bit of forethought in any circumstances will help you create a room that will be enjoyed for years to come.